Sometimes you come across an author that you feel you must share with everyone and Colin Thompson is just that. An author illustrator his pictures are so so detailed that you could lose yourself in them for days…There are many ways in which you can use his books in the classroom, although I would say firstly just enjoy them. 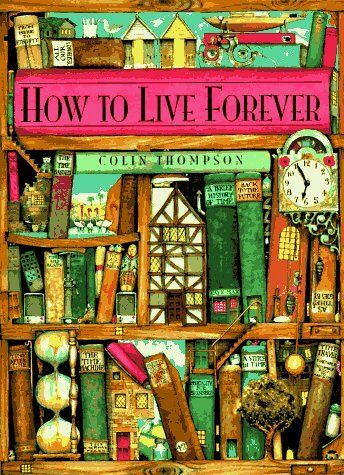 My favourite book of his is ‘How to live forever’. 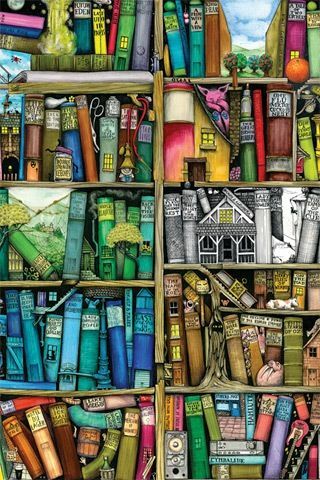 It is fabulous for getting children to engage and look closely at a book. I have used it at Guided Reading time to focus on inference and deduction as the words really take a back-seat to the illustrations. A page can last a whole session if used well – it allows for deep questioning for children who might be EAL or who struggle with the technical aspects of reading. My son and I love looking carefully for Max (the silhouetted large-eared dog) who appears on nearly every page and Cafe Max, a gingham curtained bistro that is a recurring theme. We have even discussed what we think might be on the menu at Cafe Max – we went down the French route here! 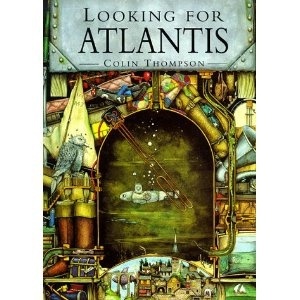 The pictures lend themselves beautifully to creative writing opportunities – diaries, stories, newspapers, instructions…My most recent planning was centre around the book ‘Looking for Atlantis’. The children did some beautifully intricate artwork using a small photocopied square of one of the pages which they continued in a similar detailed fashion. I was amazed by how focused some of the children were during the art sessions. The stories behind these illustrations are often quite deep and thought provoking which means the level of questioning you can use with these books can be challenging. What is Atlantis? What is the message that his Grandfather is trying to communicate? Where would you find Atlantis? 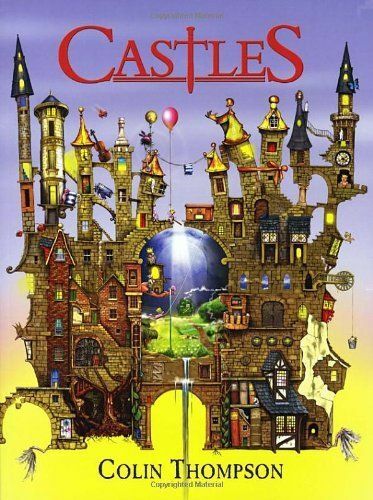 Another gem is ‘Castles’. This book is all about the stories in each picture. Children can design their own castle based on a story they know or write stories. I have had success using photocopies of castles that the children have created labels for using post-it notes of varying detail and humour! His books are fantasy lands waiting to be lost in.